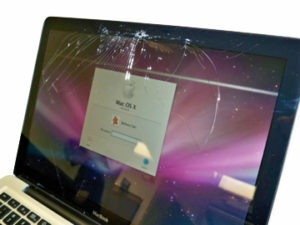 Laptop & Computer Screen Repairs Melbourne & Sydney, Australia Wide! Have a computer virus or malware problem? 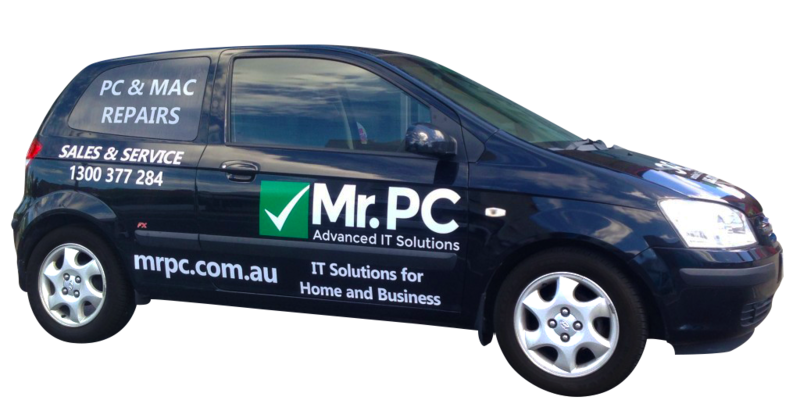 Our Melbourne and Sydney based teams are experts in malware and virus removal. We are highly experienced in removing any threats or problems that may affect your day-to-day productivity and your general PC experience, regardless of how malicious they may seem. and a whole host of malware removal services depending on your situation. If you are experiencing any of the above, then there is a good chance that your laptop has been infected with spyware or malware. Give us a call and we'll put you on to one of our expert technicians. 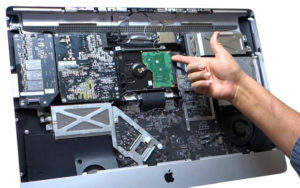 More importantly, we can come to you to diagnose your computer issues and restore your computer to optimal conditions. 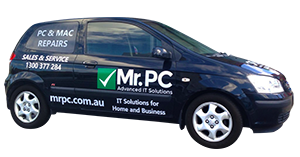 After the removal of viruses and perhaps malware/adware, MrPC can suggest a security plan, tailored exactly to the duties you may perform on your computer, to prevent it from ever happening again. This keeps your computer efficient, your personal data safe and provides peace of mind for the individual. Virus removal of all levels on Mac platforms (Mac viruses are becoming more and more prevalent). Internet Security solutions for proactive/preventative measures. 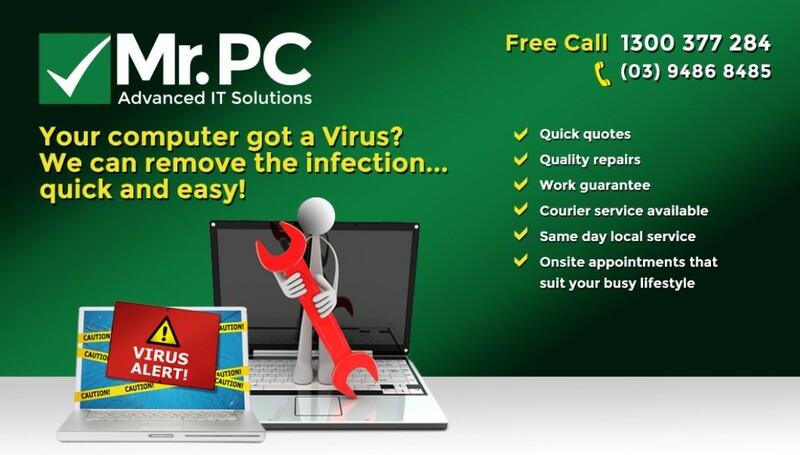 Anti-virus software for proactive/preventative measures. A backup strategy to ensure your data is never lost, regardless of what may arise! This is fairly malicious and well written virus, which attempts to hold the computer owner to ransom, claiming you have to pay 100 Euro via funds transfer/UKash to regain use of your computer again. This may, or may not, hijack your webcam also in an effort to persuade the user of its legitimacy. MrPC can have this virus and all associated remnants of it removed in no-time, ensuring the integrity of your personal data whilst also offering a permanent solution to ensure it doesn't happen again. 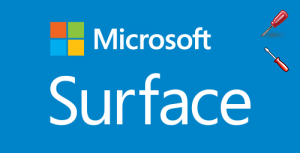 Please be aware of company’s claiming to be from Microsoft wanting remote access to your computer. Microsoft will NEVER call you, and NEVER ask for any personal details, let alone access to your PC. You should immediately decline any offer similar to the above, and report it to the relevant authorities. Based on the same premise as the above AFP virus, this virus infects and encrypts all the data on the computer with a password then it is held for ransom unless a fee is paid. MrPC can decrypt the password for the encrypted data, however, this takes time. In worst case situations, it can be done, but the best solution is always being proactive, and that is regularly backing up your critical and personal data. Feel free to give us a call if you need advising on how to go about this, or perhaps need a tailored solution provided to you. Last, but certainly not the least or least-widespread, is ANY SOFTWARE that requests you to pay a fee to have your computer cleaned/optimised/registry cleaned. These are tasks that can be performed without paying a random fee to a non-legitimate software vendor. *Please note these are removal tools not prevention tools, these tools can cause harm to your system if not use correctly MrPC takes no responsibility or liability to systems or data lose. Microsoft Security Essentials (Windows XP – 7), Windows Defender (Windows 8). 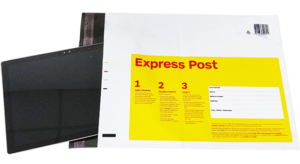 Send us your enquiry below and we will give you a call back.